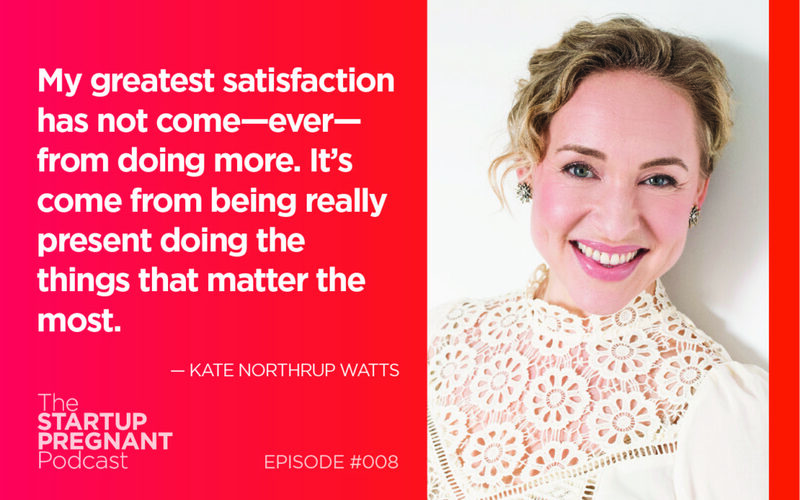 Achieve more by doing less and being more present: this episode features entrepreneurial mother Kate Northrup. It’s hard to argue with Kate Northrup’s contention that the eight-hour workday doesn’t work from a productivity standpoint. Study after study shows that only three (or so) of those eight hours are productive ones, and I think we can all get on board with the idea of getting better results—while putting in less time at work. The problem is, how do we shift that mindset? How do we shift the idea that tells us the only way to get what we want is to do more and more work? Kate Northrup always knew she wanted to be a mother, and she pursued entrepreneurship partly because of the freedom it could afford her to be there for her kids. 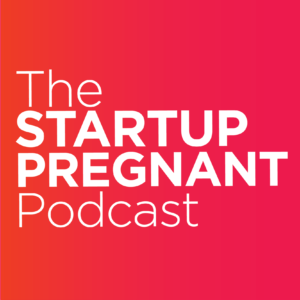 What Kate wasn’t counting on was the way pregnancy would change her drive and refocus her energy when it came to the business. She admits that it took her a long time to “get back in the game,” and that her husband and business partner, Mike, picked up the slack. But Kate credits having her daughter, Penelope, with initiating a personal evolution that allowed her to clarify her desires and ultimately renew her interest in the business and the way she thought about showing up for work in the first place. Perhaps there was something revolutionary here: because, as she shares in this episode, she found that she was able to achieve more even while doing less. And that some of her most productive weeks happened when she was working only 20 hours a week on the business. Today Kate shares her “shocking and awesome” birth experience, explaining how parenthood impacted her business as well as her marriage. I ask her how she and Mike make their relationship work, and her take on what women need moving forward. Listen in to understand why it’s important for us all to initiate the difficult conversations around current events like Charlottesville, and how her latest project, Origin Collective, works to help entrepreneurial moms achieve greater results from doing less and showing up more fully with each other. Kate Northrup is a professional freedom-seeker and creative entrepreneur. She is also a best-selling author, mother and activist who is on a mission to support ambitious, motivated women in lighting up the world—without burning themselves out in the process. Kate had created her own financial freedom by the age of 28, and she lives by the philosophy that if you free yourself financially, you can be fully present to fulfill your purpose on the planet. Kate launched the Origin Collective in May of 2017 to help entrepreneurial moms achieve greater results by doing less.